Voting is open in Creative Loafing Tampa Bay’s Best of the Bay 2017 and Taco Jesus Hot Sauce is nominated in two categories. We are nominated as Best Local Hot Sauce in the Food & Drink category and we are also nominated for Best Farmer’s Market Vendor in the Goods & Services category. 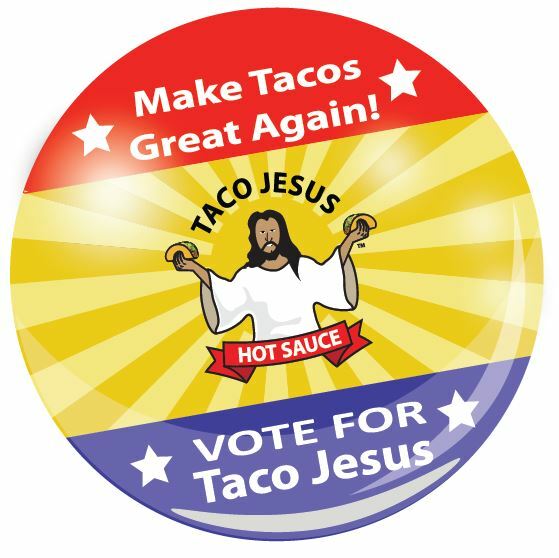 As a fan of Taco Jesus you know the praises of our terrific sauces and now is your chance to help us spread the Taco Gospel to the rest of the bay area and beyond by voting for Taco Jesus Hot Sauce in these categories. Get on over by following this link and help to spread the good word about Taco Jesus Hot Sauces with the rest of the world! This entry was posted in Uncategorized by Taco Jesus. Bookmark the permalink.